March 20, 2015 marked Europe’s largest solar eclipse since 1999, with 90 percent of the sun covered in parts of the UK. 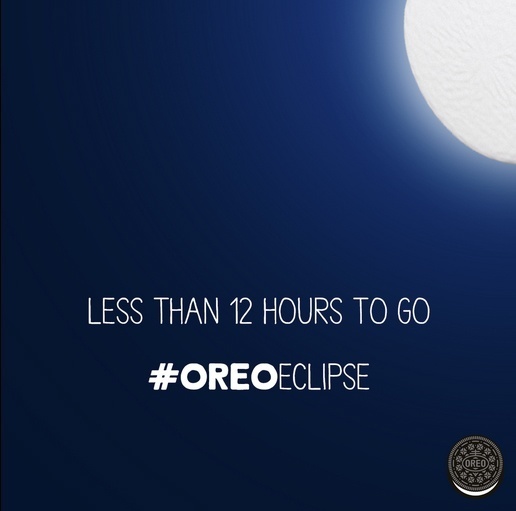 Never one to shy away from a timely occasion, Oreo launched an integrated #oreoeclipse campaign targeted at consumers in the UK across print, out-of-home, and digital. Suffice to say, the thoughtful approach shone brightly amid a social media sea of eclipse-themed activations. Quite possibly the most clever extension of this campaign lived in print. Yes, print! Oreo partnered with The Sun newspaper in the UK to “eclipse the Sun,” with the paper’s first-ever translucent cover wrap. The special cover was used for more than two million copies and also included two special translucent eclipse-themed Oreo ads. The company also took over the paper’s website for the day. Naturally, the cleverness of this stunt resulted in significant online and social media chatter, including some wise words of wisdom from The Sun newspaper on Twitter. Building off successful print and online activations, the company also turned to out-of-home with digital billboards in London and Edinburgh, where the Oreo cookie followed the moon’s movements in real-time to eclipse the sun . To keep the movements accurate, the company and its agency partners tapped into information from the Royal Astronomical Society and TimeAndDate.com. Click here to watch a time lapse video of Oreo’s digital billboard in London’s Piccadilly Circus, where viewers could track the #OreoEclipse in real-time. 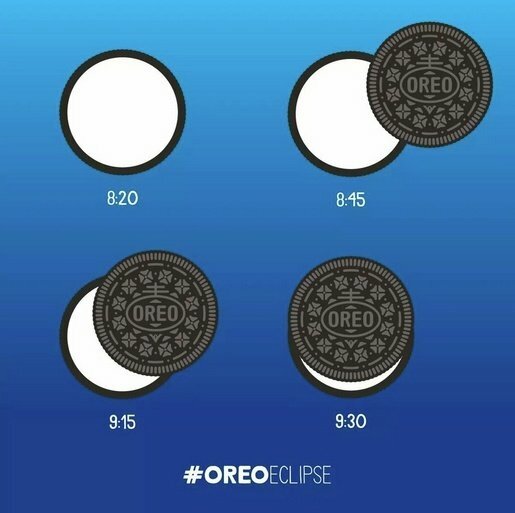 To further drive conversation as the eclipse was happening, Oreo also purchased the promoted trend #OreoEclipse on Twitter and drove additional sharing through brand-generated tweets with clever eclipse-themed visuals. It’s hard to imagine a brand more perfect to maximize the recent solar eclipse than Oreo. From the shape and color of the Oreo cookie, to the brand’s penchant for innovative content around timely and pop culture-related events, it’s no surprise that the company saw the eclipse as an occasion worth maximizing. However, what makes this campaign so special is that Oreo didn’t rest on its laurels. Not every brand can make the investment Oreo made here, which is why it’s so nice to see the campaign executed so well and with such a commitment to innovation. 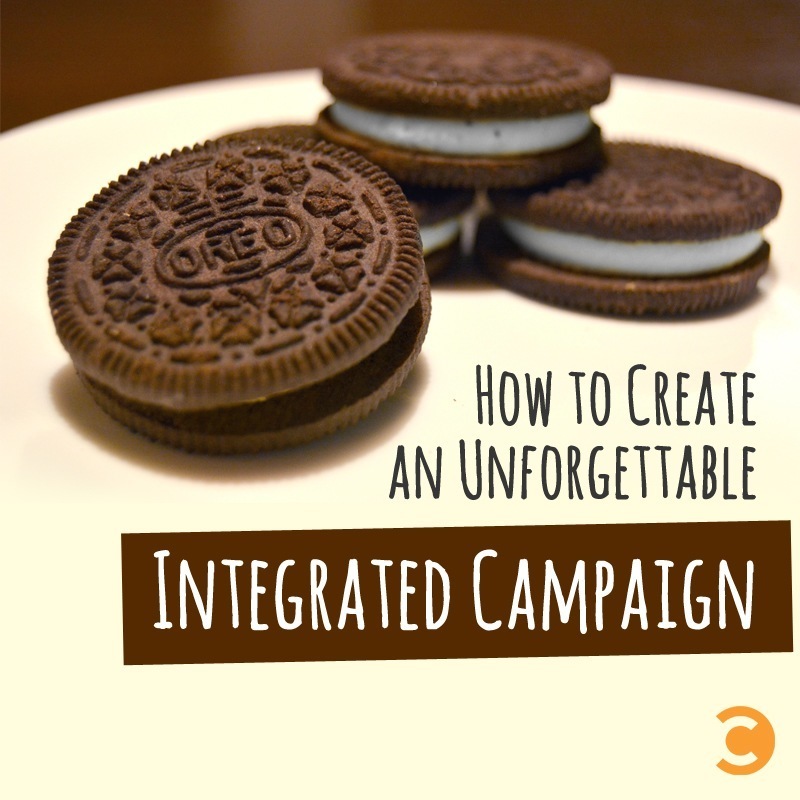 The end result for each piece of the campaign was experiential, memorable, and ultimately shareable, generating a surge of online and offline engagement for the Oreo brand that traveled far beyond the target UK audience. Anyone else craving an Oreo cookie?